I usually don’t pull out all craft stops for Canada Day the way I do for Easter, Christmas, Valentine’s and everything else in between. An extra day off is often spent at a cottage or on some Ontario beach. 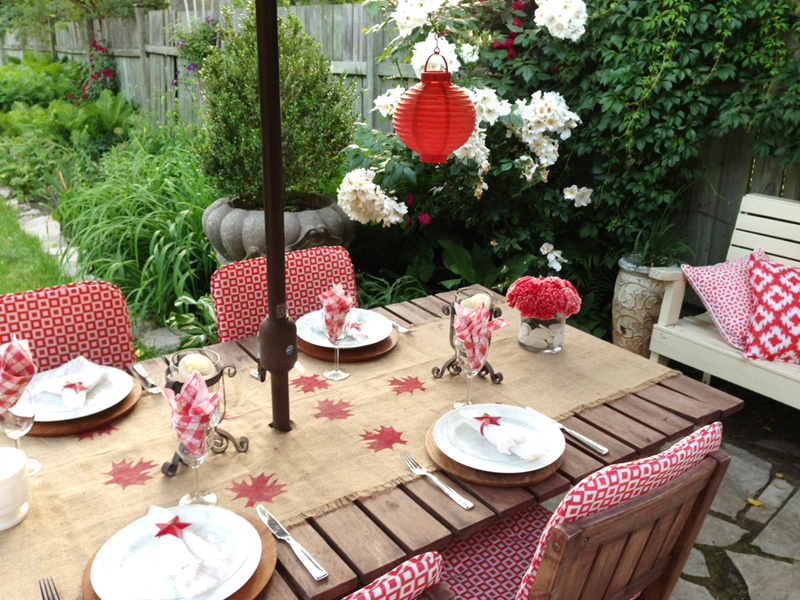 This year, though, we have a few people over, so I decided to make a quick, festive backyard BBQ table setting with a hand-stamped burlap runner as masterpiece. You know me, I am a runner girl in more ways than one (have a look at the grass Easter Table Runner I posted for Easter – ps: great recycle for a summer outdoor setting with colorful flowers — but I am getting off track). 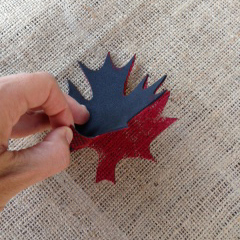 First, I sketched a maple leaf (diameter around 4 inches) on my foam and cut it out. 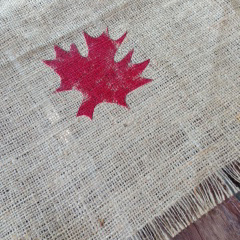 If you have trouble doing this freestyle, simply search online for a maple leaf image and print. 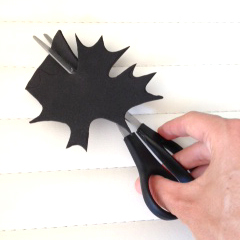 Cut out your printed leaf, lay on top of your foam and trace again. 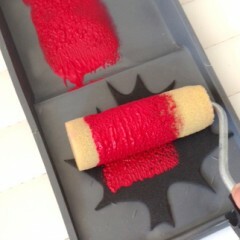 With your small foam roller cover one side of your foam leaf with red acrylic paint. 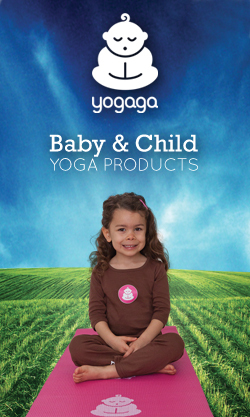 Make sure to generously cover the complete leaf. 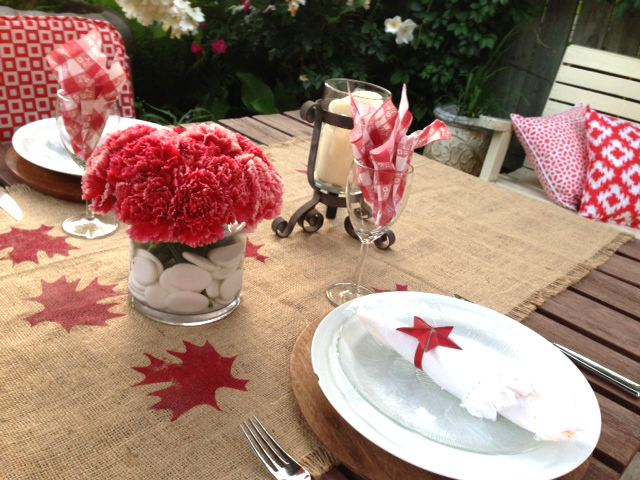 Put your painted foam stamp on the burlap and, with your fingers, gently press around the entire leaf (especially the little pointy parts) to ensure you are getting your complete design onto the fabric. I sometimes put a piece of paper on top of the stamp and then rub over this or even use a dry roller to apply pressure. If you are nervous about ruining your runner and/or you are doing this for the first time, do a test run on a scrap piece of fabric or paper. Repeat your stamp as often as you like to create your personal pattern or “non-pattern.” Let runner dry for a few hours.